Chef Nelson Pérez runs the high-end fish restaurant Nelson on Gran Canaira. It serves locally farmed fish as a delicacy. “I’ve been working with farmed fish for 25 years. In the past, fish that came from farms all tasted the same, be it sea bass or gilt-head bream, they all had the same taste and a strong smell of fish oil. But now that’s no longer the case, nowadays each type of fish has its own proper flavour,” Nelson explains. The fish Nelson uses in his restaurant were reared just a few kilometres away at a farm called Aquanaria. The firm says its goal is to produce perfect fish for high-end restaurants. Thanks to an innovative design, Aquanaria’s fish pens are fixed well away from the shore in strong Atlantic currents. This allows for a constant flow of water enabling the fish to get lots of exercise, which improves their well-being and taste. The production is tightly controlled in order to meet strict European food, water, animal health, and environmental protection standards. Around 80,000 people across the European Union currently work in fish farming. Such jobs, often in remote areas with few opportunities, can be vital. The fishing farming sector is steadily growing but many think there is real potential for growth given that two thirds of all seafood consumed in the EU is currently imported. “We are not interfering with the nature, we cannot over-harvest, because we are basically putting our fish here when they are small, we grow them and we harvest them. It’s a closed cycle, so we are not really over-harvesting the fish from the wild,” Sánchez insists. 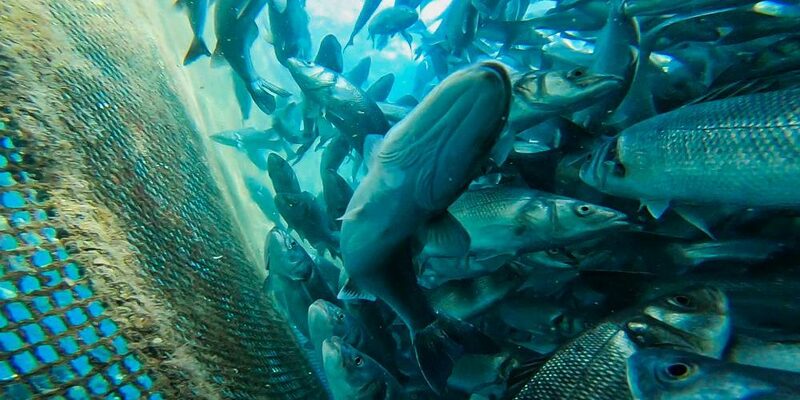 Research and innovation, part funded by the EU, is helping to address the impact of fish farming. Kingfish Zeeland is a fish farm based in the Netherlands. It pumps clean sea water through a state-of-the-art recirculation system, using renewable energy, organic fish feed and zero antibiotics. “It’s an expensive way of growing fish, and therefore we had to find the most premium product that we can grow in it. Specifically the choice of yellowtail kingfish — it’s one of the most expensive fish in the market. But from a demand-supply perspective — it’s used in Europe as fully imported fish from Japan or Australia. So the ability to grow a premium product near market was critical for us to be able to invest and build such a technology and the production facility,” says Ohad Maiman, Kingfish Zeeland’s CEO. Mart Scherp, who runs a restaurant in the Dutch city of Middelburg, says demand for high-quality produce is outstripping supply, insisting many restaurants are ready to replace threatened wild species or frozen imports with fresh, sustainable local fish that are farmed in such a way.